Congratulations! You just got engaged? Now, it is time to find the right wedding venue for you. One important thing to remember is that no one wedding location is perfect for every couple. If you are still trying to decide on a venue, there are at least three reasons why you may want to have an outdoor ceremony. 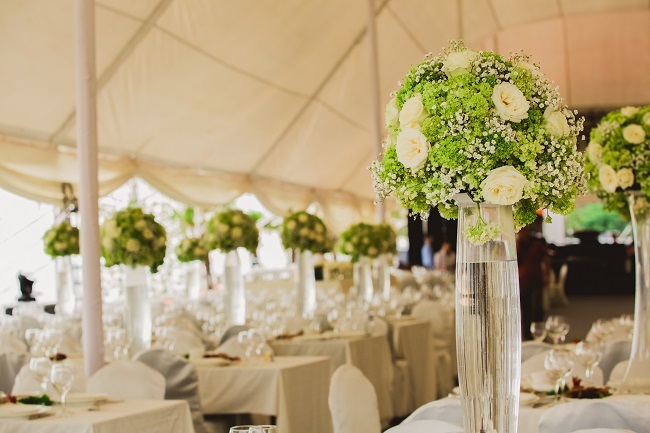 While some couples love coming up with just the right decorations for their wedding, others would rather focus on what they view as the important details. When you host an outdoor wedding ceremony, the trees, flowers, and another natural backdrop often offer all the decoration you need. Even if you add in a few personal decorations, decorating for an outdoor ceremony is often a lot easier and less expensive than decorating for an indoor one. Perhaps one of the best reasons for an outdoor wedding ceremony is the pictures. Sure, indoor ceremonies can be beautiful, but there’s just something really gorgeous about the pictures from an outdoor wedding ceremony. Nothing can beat having trees, a lake, or a beautiful garden as the backdrop for your wedding photos. Plus, the natural lighting often offers a beautiful element to the pictures. When you have an indoor ceremony, you are limited in space. If you are inviting a lot of guests, they are often crowded together. Even if your outdoor venue only allows for a certain number of people, the wide, open space gives you and your guests more breathing room, and the space just feels bigger. Plus, it’s easier for guests who have to quickly slip away for a minute or two to make a quiet, discrete exit and entrance. If you are interested in having an outdoor wedding ceremony, contact us. We have several outdoor ceremony options as well as great reception options, which provide great indoor/outdoor combinations.